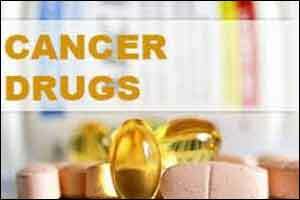 Study prompts calls to “raise the evidence bar” for approval of new cancer drugs. The majority of cancer drugs approved in Europe between 2009 and 2013 entered the market without clear evidence that they improved survival or quality of life for patients, finds a study published by The BMJ today. Even where drugs did show survival gains over existing treatments, these were often marginal, the results show. Many of the drugs were approved on the basis of indirect (‘surrogate’) measures that do not always reliably predict whether a patient will live longer or feel better, raising serious questions about the current standards of drug regulation. The research team analysed reports on cancer approvals by the European Medicines Agency (EMA) from 2009 to 2013. Of 68 cancer indications approved during this period, 57% (39) came onto the market on the basis of a surrogate endpoint and without evidence that they extended survival or improved the quality of patients’ lives. After a median of 5 years on the market, only an additional 8 drug indications had shown survival or quality of life gains. Thus, out of 68 cancer indications approved by the EMA, and with a median 5 years follow-up, only 35 (51%) had shown a survival or quality of life gain over existing treatments or placebo. For the remaining 33 (49%), uncertainty remains over whether the drugs extend survival or improve quality of life. Taken together, these facts paint a sobering picture, says Vinay Prasad, Assistant Professor at Oregon Health & Science University in a linked editorial. This study comes at a time when European governments are starting to seriously challenge the high cost of drugs, says Dr Deborah Cohen, Associate Editor at The BMJ, in an accompanying feature. She points to examples of methodological problems with trials that EMA has either failed to identify or overlooked, including trial design, conduct, analysis and reporting. Emma is leader of Just Treatment, a patient led campaign with no ties to the pharmaceutical industry, which is calling for a new system that rewards and promotes innovation, so that more effective and accessible cancer medicines are brought within reach.